Commercial Advantage - Certification to this standard is used by many firms as a supplier pre-selection requirement, without it you may not even be asked to quote! Risk Minimisation - By establishing a business focused quality management system, the risk of things going wrong will be minimised through well defined processes and consistency of approach. A management system assists with a 'right first time' approach. Johnson Associates offers a full Quality Management System development, implementation, audit and improvement service. 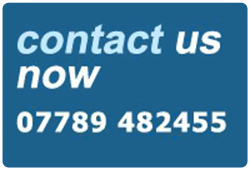 Contact info@quality-consult.co.uk for further information. Implementation of an Environmental Management System meeting the requirements of ISO14001:2015 can bring many business benefits and establishes your company's commitment to the environment. Johnson Associates can carry out stand-alone ISO14001 management system implementation or integrate the requirements of ISO14001 into your existing management systems. Successful implementations include those in the waste management industry, environmental product design and manufacture, service industries and construction. Construction environmental system implementation includes BREEAM compliant and the use of Site Waste Management Plans where appropriate. Johnson Associates can also carry out self-assessment against the EFQM (European Foundation for Quality Management) Business Excellence Model and use the findings to promote company wide continuous improvement to the benefit of business & staff. In line with this specific requirement of ISO 9001:2015, Johnson Associates can offer consultancy on various satisfaction monitoring processes - this includes customer satisfaction survey design and data analysis methodologies. Contact johnson@quality-consult.co.uk for further information.